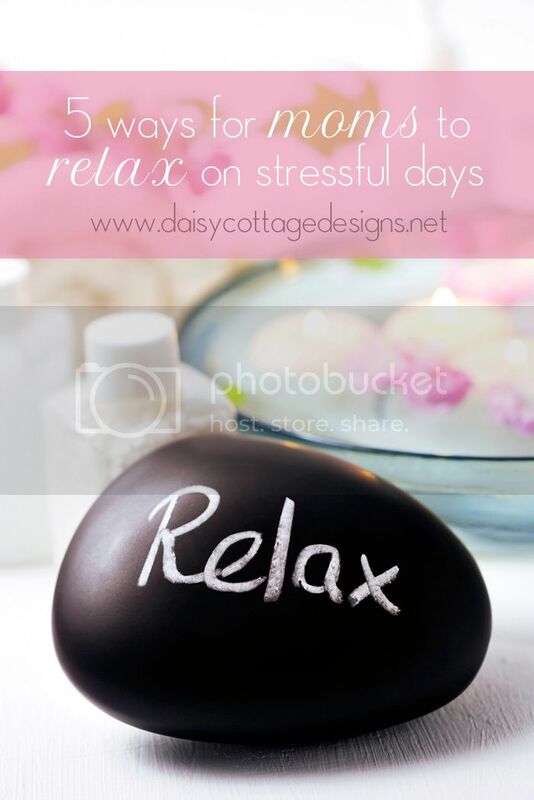 Keep reading for 5 ways moms can relieve stress! Are you a mom who sometimes gets overwhelmed by the endless list of tasks that needs to be completed? Do you feel like you’re never able to get it all done? I think we all need to stop and realize something: there will always be something to do. Whether it’s mop a floor, sew on a button, write a blog post, or fold the laundry, there’s something we could be doing every minute of every day. Be that as it may, sometimes we just need to take some time for ourselves. I have to be honest with you. I’m “writing” to the choir here – I should plaster these 5 Quick Ways Moms Can Relieve Stress on every surface of my home. I’ve had a hectic month. My husband was out of the country for two weeks, we’re living through a major home addition/remodel, and both of my little girls decided to go through “a stage” at the same time. Get the picture? Well, my husband is back, but now we’ve been putting in 12 hour days in the addition to speed the process along. Twelve hours of working on drywall doesn’t leave much time for cleaning, cooking, and the other motherly things we moms are used to taking care of. This means my house is a wreck, my kids have eaten more pop tarts than I care to admit, and my to do list is a mile long. While venting to my husband, he really did help me realize that it’s ok to take some time; it’s ok to sit on the couch even though there are 3,523 things to do. So you know what I did, I came up with a list of 5 quick ways moms can relieve stress. Call a someone and vent. This might be your mother, your best friend, or your second cousin’s sister-in-law. It doesn’t really matter who it is, you’ll feel better after vocalizing your feelings. Hopefully this person knows you well enough to encourage and challenge you. Get 5 minutes peace. Separate the kids, have them read a book, and lock yourself in your bedroom for a little reprieve. As moms, it’s tempting to feel guilty when we need a break – we have to stop doing this to ourselves! I can’t think of any other jobs that are 24/7 (besides maybe being a pastor). So give yourself five minutes, plop down on your bed, and clear your head for a few precious minutes. (On a side note, 5 Minutes’ Peace is an adorable children’s book. If you haven’t read it, you should definitely check it out). Take the kids outside. I know it might be cold where you are, but if the weather’s nice, it might be time for a change of scenery. Head outside and take a stroll or sit on the front porch while your kids play. Being outside will help your frame of mind and it will let your kids run off some energy. Spend some time on a hobby you love. Usually, people have hobbies because they enjoy them. I know when I’m stressed out, I love to sit on the couch and crochet for a while. It’s probably not the best time to try something new and challenging. Stick to something tried and true that will let you get your mind off what’s getting you frustrated. This is my favorite thing to crochet when I’m stressed. It’s repetitive and gives me time to think. Read a book. Grab a mug of hot apple cider or tea, pick up your favorite magazine, or grab that book that’s been sitting on your nightstand for the past 3 weeks. One article I read mentioned that reading for just 6 minutes can reduce stress by 2/3. I don’t know if that’s true, but if it is, I know I should definitely be reading a lot more. After you’ve done one of these things, chances are you’ll be feeling better. 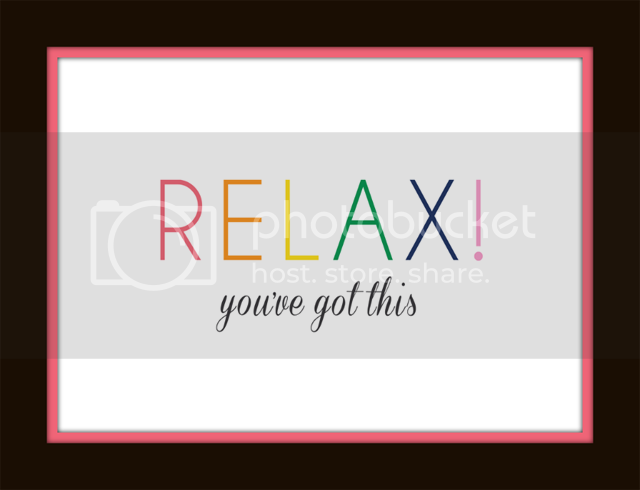 If so, you’ll probably be ready to take on your to do list with renewed energy. What about you, what do you like to do when you’re stressed? Do you have anything to add to these 5 quick ways moms can relieve stress? Let me know in the comments.